Finally the long awaited Partagas Series P No 2. This is a new piramide that has been added to the regular torpedos available. 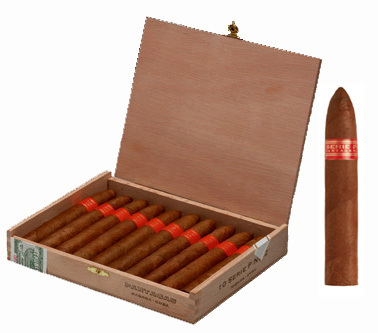 The pyramid size is highly demanded and appreciated, allows smokers to taste all the nuances in Partagas special blend. This brand stands out for its unique flavour and character, its high quality standards at every stage and a brand image that happily combines tradition, modernity and class thus building up a trend for years to come. Final: It's a great cigar but don't ever compare it with the Partagas Piramide Limitada 2000 !